The feng shui of a house is determined by factors both outside, as well as inside the house. Feng shui masters affirm that if the outside feng shui of a house is overpoweringly negative, there is no point in improving the feng shui of the inside of the house. It is true that if the house has challenging exterior feng shui, it is very difficult to achieve good feng shui inside the house. Difficult, but not impossible. Our feng shui tips will help with the most common feng shui dilemmas of the house exterior, as well as give you general info on creating good feng shui outside your house. A good feng shui garden will help attract nourishing, high-quality feng shui energy for your house, as well as delight all your senses. 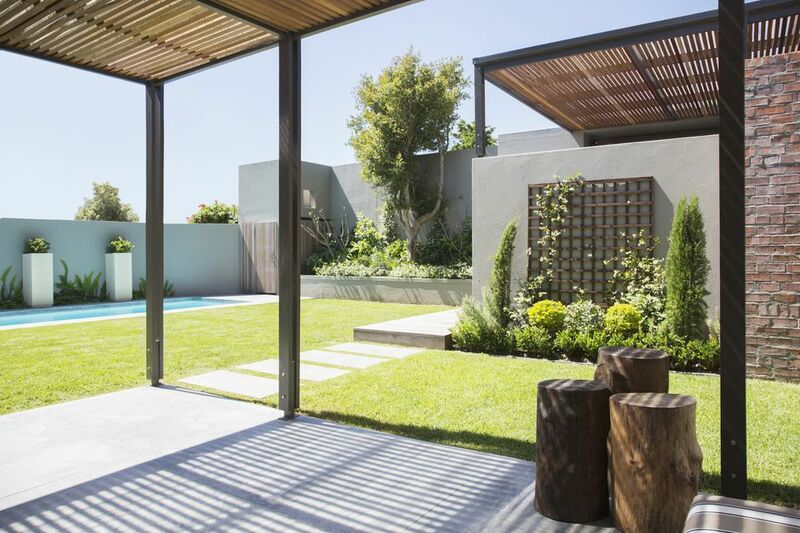 When it comes to a good feng shui garden, the size of your garden (or your house) is not the main criteria. Of course, it is wonderful to be surrounded by a big garden; but if all you have is just a small space around your house, you can still create a good feng shui garden. A Big Tree in Front of the House: Bad Feng Shui? Generally, you do not want a tree too close to the house. This is not only a feng shui concern, but also just an expression of common sense. In giving enough breathing room to both your house, as well as the tree, you are promoting good feng shui energy and a safe home environment. If the tree is right in front of the main/front door, this is considered challenging feng shui. If your house is located on a cul-de-sac, you have probably heard that its feng shui is not very good. Even though this is a general feng shui statement, as each house is unique, there are several reasons why even houses with the best feng shui inside, might still have difficulty attracting good quality Chi, or energy. A T-junction house is considered bad feng shui for several reasons. The main reason is the fact that the Chi coming directly from the road is rushing too strong towards the house and in most cases negatively affects the energy of the T junction house. In many cases you can feel how the energy of the T junction literally "hits" the house with sharp, aggressive, Sha Chi quality energy. The sloped backyard is considered bad feng shui because it leaves the house with no supporting energy. Traditionally, the back of the house is the area of the Turtle - one of the four celestial feng shui animals - which means the house needs the feng shui of support and steady, stable energy at its back. Attracting strong Chi, or feng shui energy into one's home or office is of primary importance. A strong, vibrant flow of Chi in your home will keep nourishing your personal energy, thus allowing you to focus on and achieve whatever goals you have for yourself.